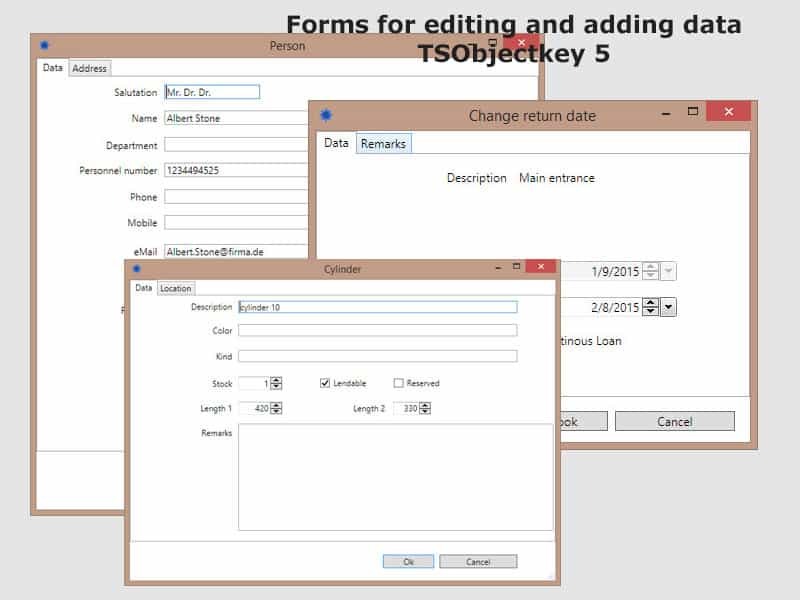 With TSOBJEKTKEY 5 you can manage all your different mechanical keys in the simplest way. As a complete solution, it offers all the features that are necessary to make the management of keys simple and straightforward even for laymen. 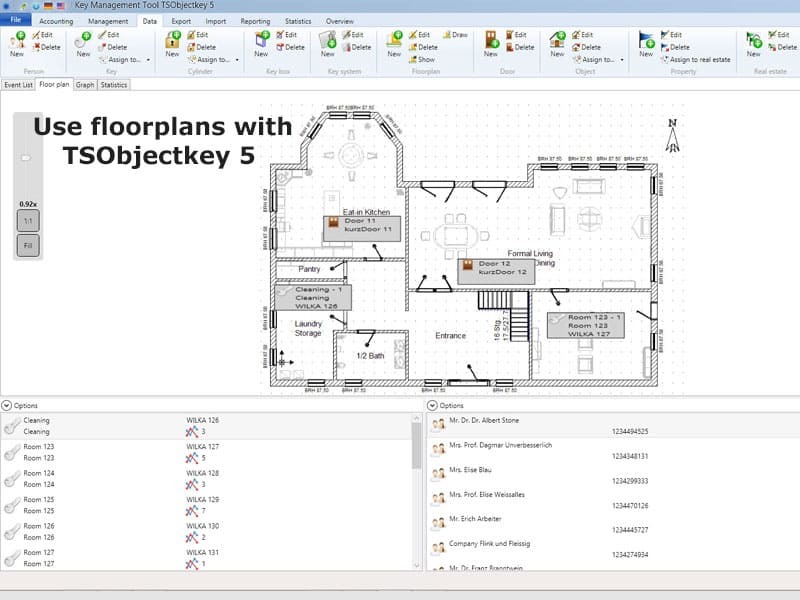 As an extension to TSKEY , the program TSObjectkey offers an extension of the functionality on doors, objects, installations and buildings. 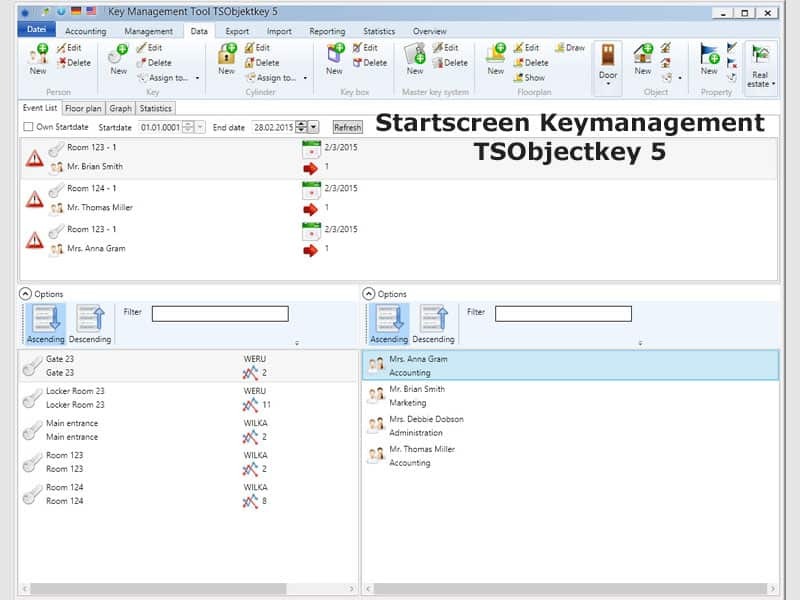 The now presented version 5 is the result of nearly 10 years of key management TSObjectkey by customers. The continuous development of the basic idea of key management provides you with the basis for long-term success in key-management. Growing up on the versions 2004 and 2008, TSObjectkey 5 represents the current state of software development. Modern screen elements in connection with a modern, scalable database, if necessary, provide the basis for the management of large amounts of data. Growing up on the versions 2004 and 2008, TSObjectkey 5 represents the current state of software development. Modern screen elements in connection with a modern, scalable database, if necessary, provide the basis for the management of large amounts of data. The German version of TSObjectkey 5 is available as TSObjektkey 5 here.